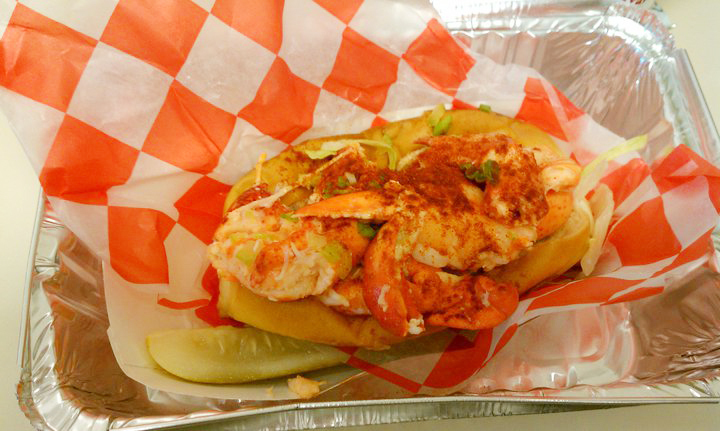 Also a purchase from Truckaroo and one of the longest lines was Red Hook Lobster Pound. No wonder with the huge pieces of lobster served up Maine Style with shredded lettuce on a toasted split buttery roll. It transports you to a Maine seaside town, sitting outside and smelling the salty ocean air. Tasty!